Distressed brown oilskin motorcycle jacket with Velcro-adjustable waist and forearm flaps. Fur on upper back and shoulders. Aplinestars Roger De Coster boots. Metal ID plates removed from the fronts. 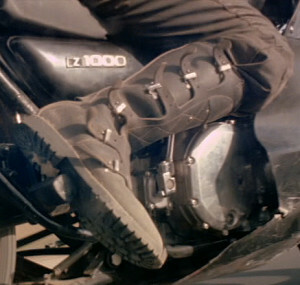 There is a knife in his left boot. Light tan long-sleeve dress shirt. No pockets. Left-hand shoulder seam ripped apart. Brown British-style “Sam Brown” officer’s belt without shoulder strap. There is a U.S. M1956 ammo pouch and an M1956 first-aid/compass pouch on the rear of his belt, in addition to other pouches. These could have been Australian-made versions. 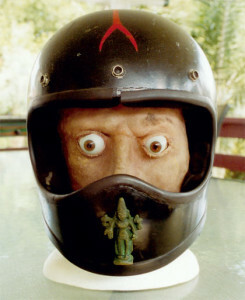 Black full-face Bell Moto Star helmet with a red snake tongue design over the top, and a glued-on figurine of the Hindu goddess Kali on the front. British-style aviator goggles with black padding and silver frames protect his eyes. 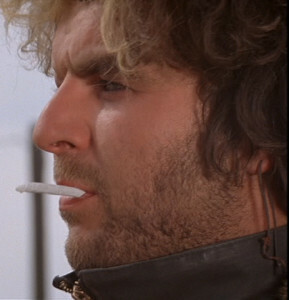 The Toecutter wears a string through his left earlobe. He has some type of laced-up shoulder pads underneath his shirt. He wears a wrist brace on his left hand. 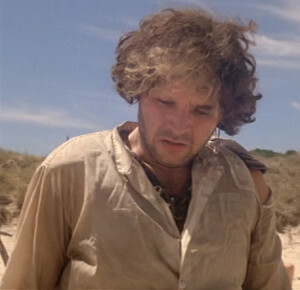 Toecutter’s off-white shirt, torn at the left shoulder, with some type of shoulder pad underneath. 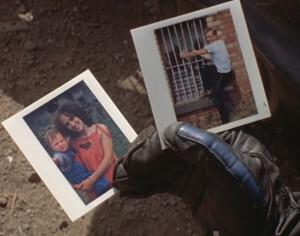 A close-up of toecutter’s glove. 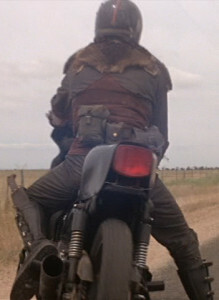 The original Toecutter helmet with original fake head.